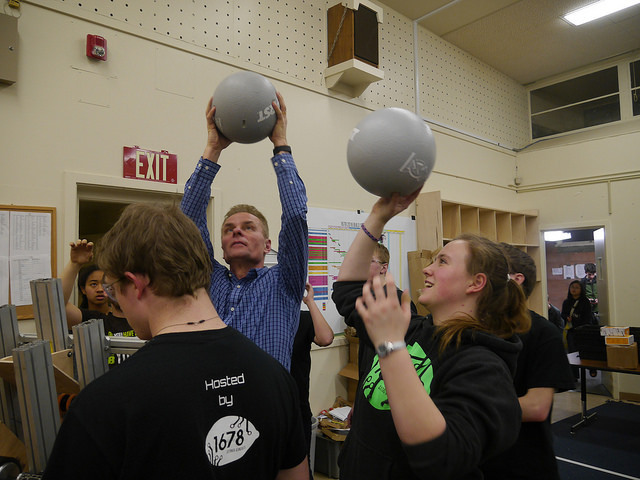 Coach Steve Harvey and captain Sophia Stockburger catch “boulders” returned from a test shot. 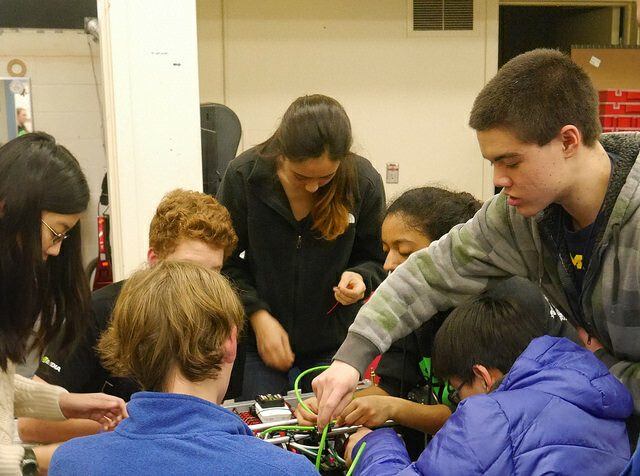 The electronics subteam wires the competition robot drivetrain. 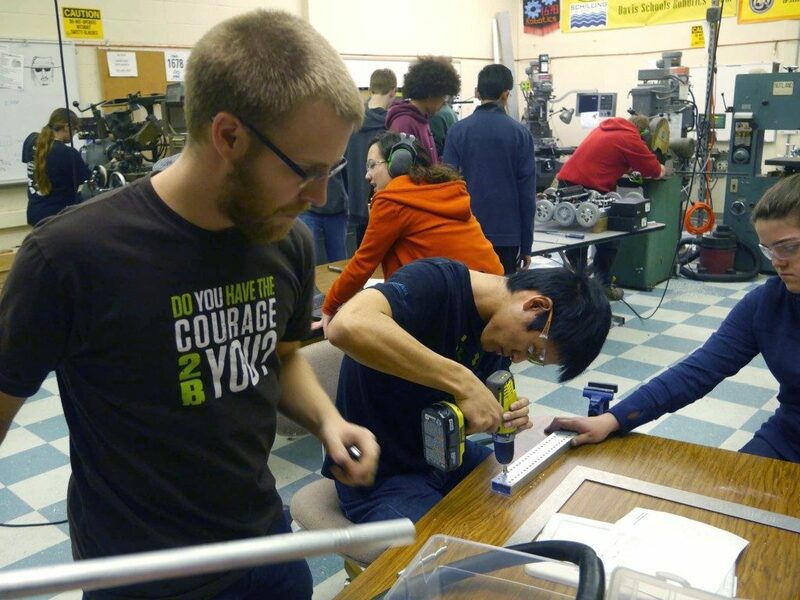 Mentor Mike Corsetto, left, examines parts while team members Henry Zhang and Izabella Terry drill holes. 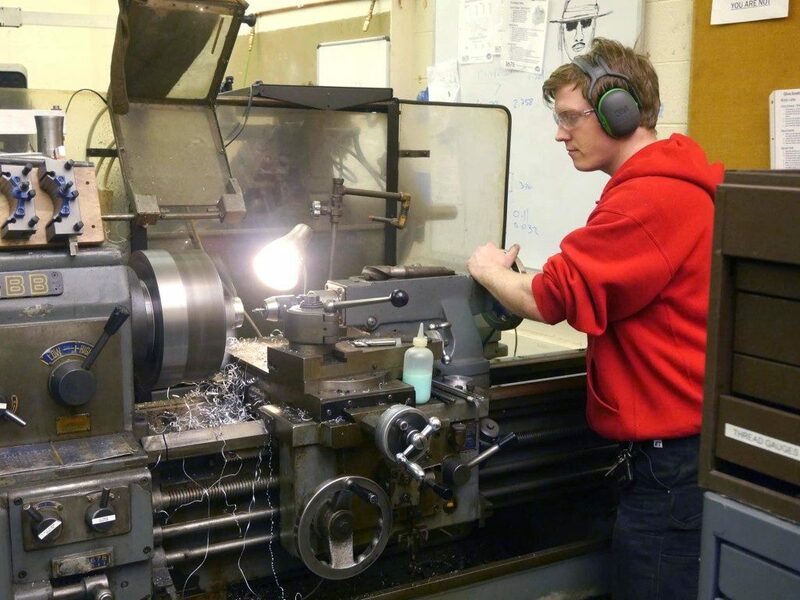 Mentor Devin Castellucci machines a robot part on the lathe in the Citrus Circuits workroom at Davis High School.